If you or someone you love has been diagnosed with cancer, you want to do everything possible to beat the disease. But with so much conflicting advice and so many options available, how do you decide on the best treatment plan for you? 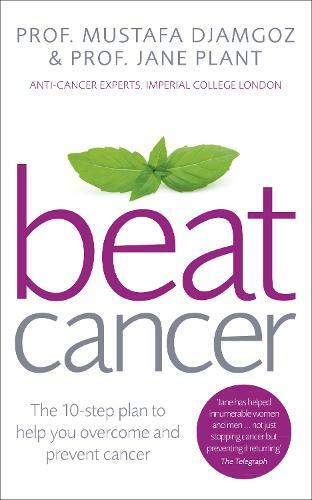 In this major new book, Professor Jane Plant and Professor Mustafa Djamgoz present a clear and scientifically sound 10-step programme to help you beat cancer. At a time when you may be feeling helpless and confused, this book provides the essential guidance you need to take control of your life and regain your health with targeted advice for specific cancers. Included in the 10-step plan: * Inform yourself: understand what cancer is, what causes it and how to avoid carcinogens * Choosing the right treatment: evidence-based advice on conventional and complementary therapies, including chemotherapy, radiotherapy, surgery and medication * Change your lifestyle: guidance on diet, exercise, reducing stress, relationships and other lifestyle factors that have a proven link with cancer Beat Cancer will help you prevent cancer, tackle your diagnosis and stay in remission.